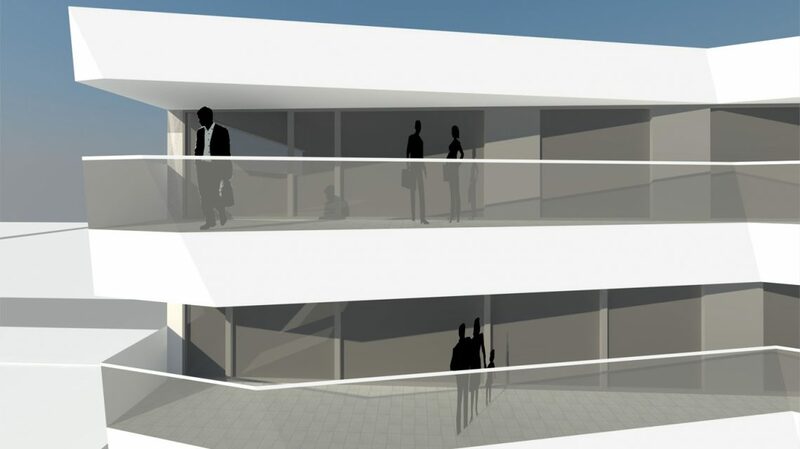 Project for a building of 22 dwellings and 3 shops in the outskirts of Barcelona, in a newly developed area. 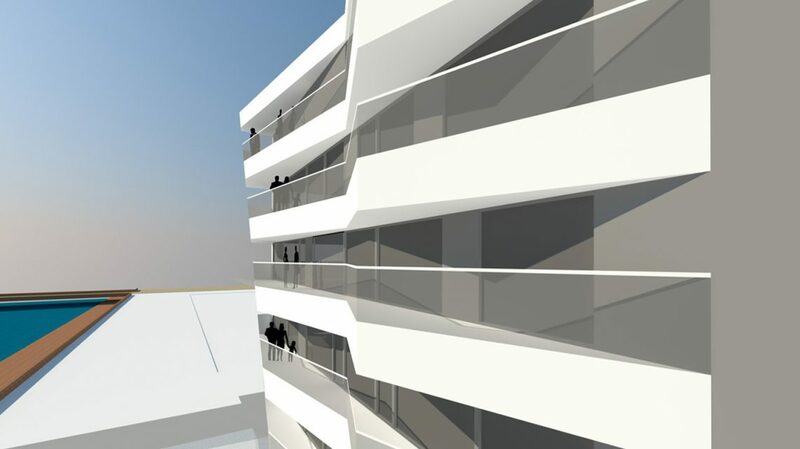 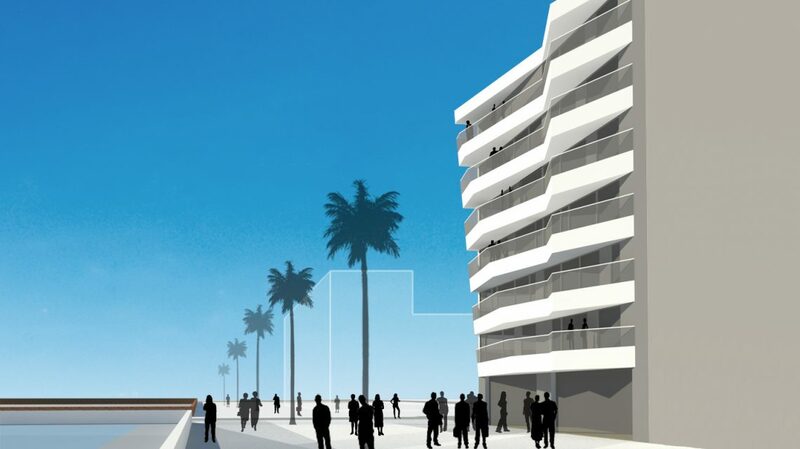 The project aims to create a unique façade in the harbour area by emphasising the top corner of the last balcony. 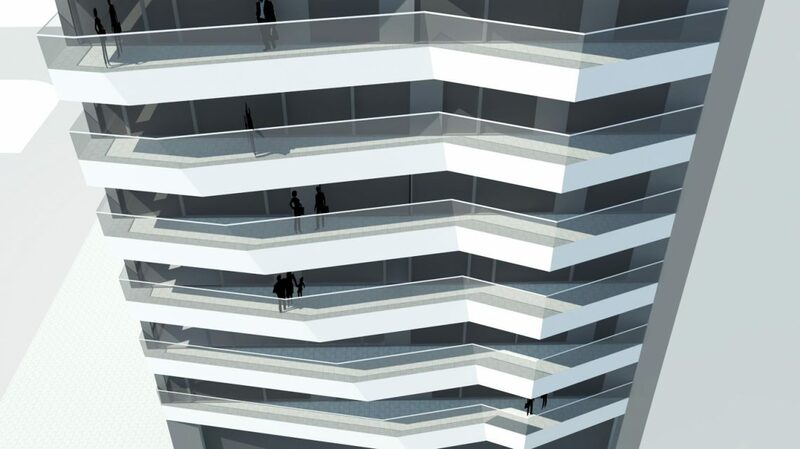 The singularity of each terrace is justified by the different views obtained on each floor.